Sequel to the first book. The Third and final (?) installment. A combo of the first two books available at a savings of $5.00. All Three Books - $45.00 plus $7.70 Shipping when shipped in same package. Facinating stories told by Smokey himself. Plus, a song written and sung by Red Lane especially for Smokey. 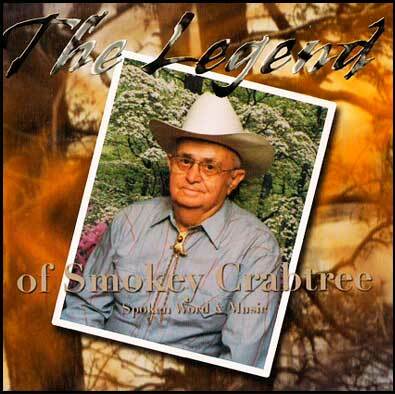 Smokey’s new CD, “The Legend of Smokey Crabtree”, is a collection of six of his main stories. The first story, “Growing up”, tells about catching fish with their bare hands and growing up in the bottoms. The second story, “Fouke Sighting”, talks about the first time the creature was seen in this area. 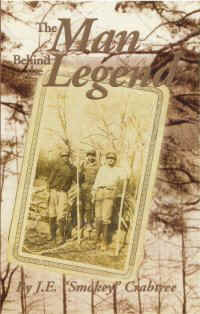 The third story, “Bean Field”, tells about the three toed tracks found in the bean field. The forth story, “Government Trappers”, tells a funny story about the search for the creature. The fifth story, “Creature’s Habits”, tells about the research that was involved in tracking and looking for signs of the Creature. The sixth story, “Skeleton”, gives a description of the skeleton - its height, weight, and the condition of the remains when found. This creature has four toes. 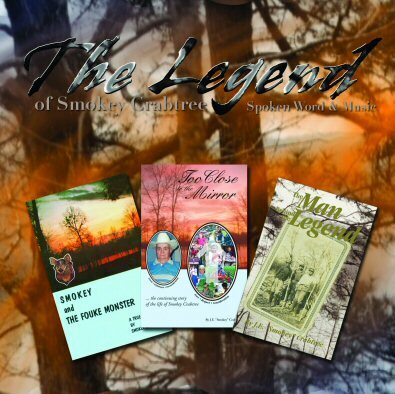 This CD was produced for people that don’t read or have time to read - Truckers, families with children going on long trips, and for the thousands of people that have read Smokey’s books and would rather hear Smokey tell his stories in person. People suggested they would rather have a recording so they can listen over and over again. Legendary song on this CD was written and performed by Red Lane. It’s about Smokey Crabtree’s life with spoken word and music. It was produced and arranged by Ron Oats for Jes Fin Productions. 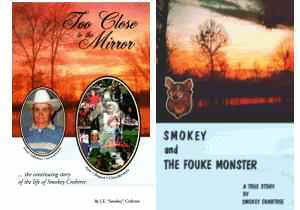 Smokey still has a limited amount of the original copies of his first book "Smokey and the Fouke Monster" this book was printed on a hand press in a friend's garage, released in 1974. The copies of the original printing have now become a collectors item. They have been sold on eBay for as much as $460.00 per copy for over two years if they are signed be the Author. 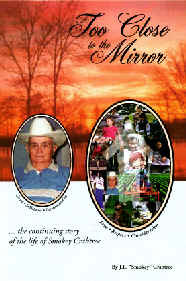 Smokey still has a small number of this book at $75.00 each plus $ 4.95 shipping. Price will surely go up as quantity is depleted. Expectations are the price could reach as much as $1000.00 per copy with a certificate of authenticity. Signed by Smokey.